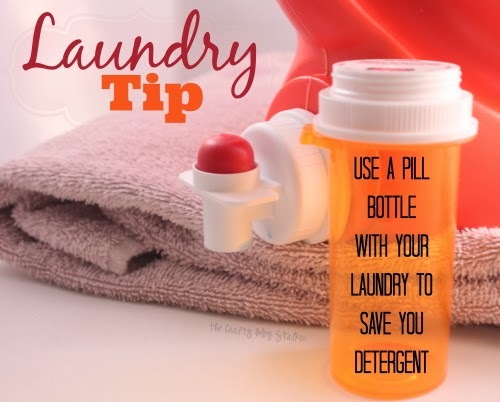 Use an old pill bottle to help save on laundry detergent. 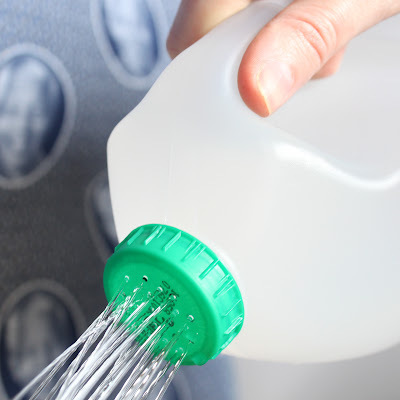 Poke holes into the lid of a Milk Jug and you have a recycled watering container! The Parmesan Lid fits on a regular canning jar! Use Pure Acetone (a type of fingernail polish remover) to remove the ink on plastic containers so you can reuse them! Use a fitted sheet over the box spring to hide that ugly mattress. The kids won’t need to get a new cup out every time they need a drink when you have Fridge Magnet Cups. Which tip is the best tip of the day for you? Share and leave a comment below! SAVE WHY DIDN’T I THINK OF THAT? 24 USEFUL TIPS TO YOUR FAVORITE PINTEREST BOARD! Lots of great tips. Some I’ve seen before but many I’ve not. Thanks for sharing, might just use a few! Hi great tips i will definitely try some of them. my favourite tip is: i had lots of curtains rings left over, from when i changed my curtains. i also had a bulging wardrobe, so i hooked the curtain rings over the hook on a clothes hanger and again on the next clothes hanger, so i can now hang 3 or more if i wish, from the one clothes hanger and I’ve increased my wardrobe space by a half. I also did the same for my bras, so there not taking space in a draw and i can access them easily. I can’t believe how phenomenal and useful these these tips are! Thanks for compiling such a great list. The cups! The magnetic cups would be awesome in my house. Great list! Love your blog. Great tips. Some of them made me think of your title “Why didn’t I think of that”. Some really col ideas. The only one I would hesitate to try is the sparkler in the cup. only because the cup is plastic and sparklers fire up in the end. It would make me nervous, but I guess it’s better then no protection right? Hmm?? Brilliant and Practical! Ipod in a bowl – never would I have thought of that. So many nifty ideas!! Some will certainly come in handy. Thanks! I’ve seen some of these floating around Pinterest, but what a great idea to put them all in one quick reference! These are all wonderful tips. I will probably be in the shower with a lemon later today. Thanks for sharing. holy cow! these are all awesome. i’m excited to try them. Wow some of these are really great ideas, thanks for sharing! Thanks for sharing on Tout It Tuesday. Hope to see you again for tomorrow’s party. I discovered a way to clean stainless coffee pots quite by accident. While soaking linens in Oxyclean I was also rinsing the coffee pot that always seemed to become stained even though I used a brush and dw detergent every time. This time I dumped a couple spoons of Oxyclean in it and added warm water to soak. In about 15 minutes it looked like brand new. I felt like cleaning diva! Great tip Barbara! I love feeling like a cleaning genius when I discover an easier way. Thanks for these great tips! I especially like the box spring cover tip. Now I’m going to be buying some fitted sheets sometime soon! These are amazing tips! I especially love the lemon on the bathroom fixtures and the magnetic cups. Thanks so much for linking up to Creative Thursday last week. I can’t wait to see what you link up next. Have a great week. I am amazed…I had only heard of one of those before. I am wondering why I didn’t think of some of those things. My favorite is the cups with the magnets. I need to do that right now, today. Great tips! I love the magnet cups! I think my favorite was the sparkler and cup one! Great ideas!!! I need to try some, ok all!! 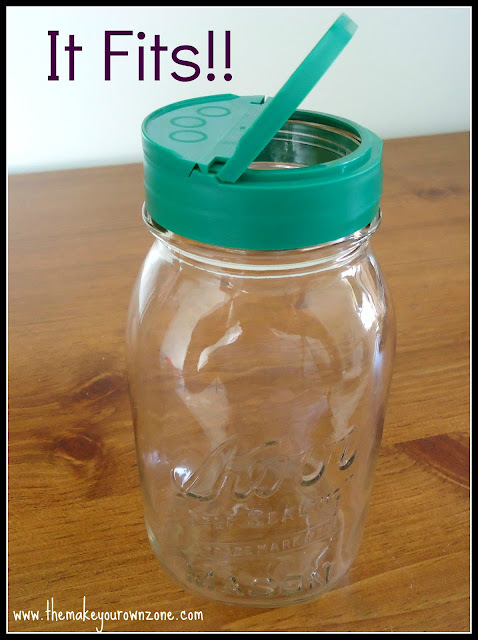 Thank you for sharing on Thrifty Thursday, I have Featured your post this week! I hope you will join us again soon! Use a Cortland apple…naturally high in antioxidants so cut fruit doesn’t brown…no elastic needed. Wonderful ideas. Loved them all. Thanks for sharing! I’ve tried the acetone to remove the print on the plastic containers. Make sure you’re in a well ventilated area or outdoors. I went through half a new bottle on one container. If anyone’s got other tips for this I’d love to hear them. Thanks for sharing. Thanks for those other great ideas! I will have to give the heated fabric softener a try! I use a fitted sheet on the underside of the box springs to protect the thin covering on the bottom. Seems like the fabric always comes loose especially of you have a dog or cat that likes to crawl underneath the bed. Great idea Cherie! Thanks for the tip! These are all great except the plastic cup sparkler idea is a huge safety hazard. When my daughter was 4 we saw this and tried it and the cup caught fire (very quickly!) and would have burned her of I hadn’t reacted so fast. We use silicone oven mitts. I give the extra long ones to my kiddos to hold the sparklers. So far, no burns. That is a great way to avoid burns, Angela! Thanks for the great tip! You are welcome Janie! Thanks for stopping by. If you want to burn votive candles, first place some water in the bottom of the holder. The water makes it easy to pop the candle out and it also guarantees that the flame will go out if you forget to blow it out. That is a great tip Victoria!! Thanks for sharing. Lots of great ideas, I love the dice in the small containers, where did you find the colored lids? Thanks!! Thanks Pam! That is actually how the containers came. I wasn’t looking for any specific color. You can find these at containers at the Dollar Stores or Dollar Trees. They’re 4 for a $1.00. I’m going to use this because my Grandsons and I play a lot of Board Games where the Dice always seem to fly away. Lol! I’m so sorry, I was having some technical difficulties but I believe they are all straightened out and the links should be working fine now. Thank you for your patience. Thank you Kelly! I am so glad that you like this collection of useful tips! Can someone explain the pill bottle saving laundry detergent? Is it from turning the detergent on end to get the last few drops? I just read the hyperlink.. (duh 😊) but I’m still confused.. is it just a way to ensure consistent measurement? And leaving the bottle on the washer yo use the last little bit? Sorry, it wasn’t clear Christi. I use this method to help my kids measure out the amount of liquid laundry detergent. I use a bit less than recommended and my clothes still come out clean and smelling great each time. Plus, by putting the pill bottle in the dispenser of the machine, the bottle is getting cleaned out with each use so I don’t have a sticky gross lid. I hope that helps. What do you do with the pill bottle? Oops sorry I see you already explained to Christi what you do with it. So looks like I’ve found this post years after it was written, but I have to say… 2019 and they are still great tips! Timeless post!